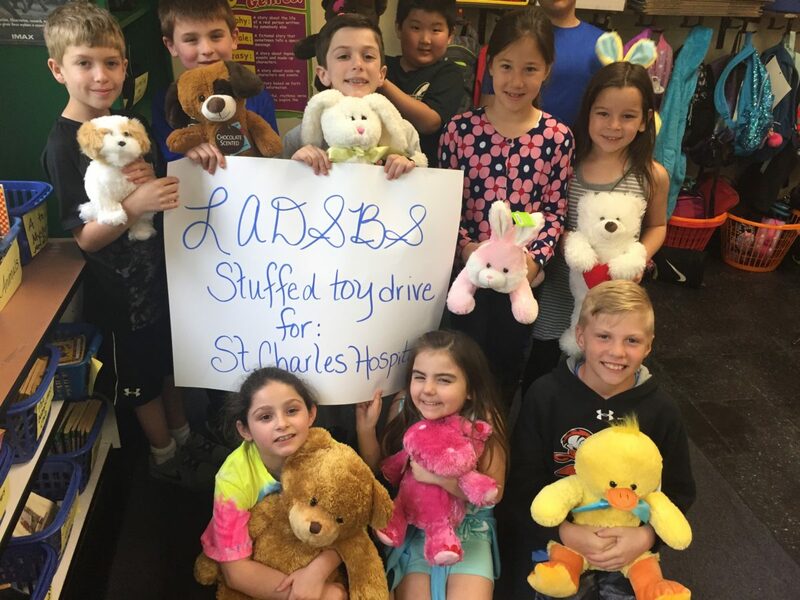 Students from Laddie A. Decker Sound Beach School in the Miller Place School District recently donated dozens of stuffed animals and toys to sick children and seniors at St. Charles Hospital. Students throughout the school participated in a month-long toy drive in order to collect as many toys as they could, involving family, friends and the community in their efforts. The purpose of the toy drive was to help students become involved in service and the community. Through their efforts, participating students were able to bring a smile to patients’ faces and provide patients with some comfort while they are in the hospital.